On the night of 8–9 August 1942 the Japanese counterattacked near Guadalcanal in the Battle of Savo Island with a cruiser-destroyer force. In a controversial move, the US carrier task forces were withdrawn from the area on the 8th due to heavy fighter losses and low fuel. The Allied force included six heavy cruisers (two Australian), two light cruisers (one Australian), and eight US destroyers. Of the cruisers, only the Australian ships had torpedoes. The Japanese force included five heavy cruisers, two light cruisers, and one destroyer. Numerous circumstances combined to reduce Allied readiness for the battle. The results of the battle were three American heavy cruisers sunk by torpedoes and gunfire, one Australian heavy cruiser disabled by gunfire and scuttled, one heavy cruiser damaged, and two US destroyers damaged. The Japanese had three cruisers lightly damaged. This was the most lopsided outcome of the surface actions in the Solomon Islands. Along with their superior torpedoes, the opening Japanese gunfire was accurate and very damaging. Subsequent analysis showed that some of the damage was due to poor housekeeping practices by US forces. 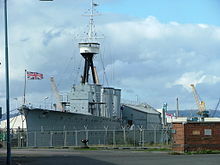 Stowage of boats and aircraft in midships hangars with full gas tanks contributed to fires, along with full and unprotected ready-service ammunition lockers for the open-mount secondary armament. These practices were soon corrected, and US cruisers with similar damage sank less often thereafter. Savo was the first surface action of the war for almost all the US ships and personnel; few US cruisers and destroyers were targeted or hit at Coral Sea or Midway. Outside the US and Soviet navies, new cruisers were rare following World War II. Most navies use guided missile destroyers for fleet air defense, and destroyers and frigates for cruise missiles. The need to operate in task forces has led most navies to change to fleets designed around ships dedicated to a single role, anti-submarine or anti-aircraft typically, and the large "generalist" ship has disappeared from most forces. 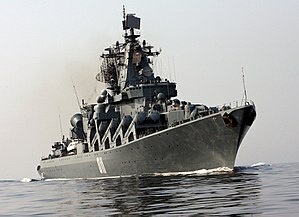 The United States Navy and the Russian Navy are the only remaining navies which operate cruisers. Italy used Vittorio Veneto until 2003; France operated a single helicopter cruiser until May 2010, Jeanne d'Arc, for training purposes only. While Type 055 of the Chinese Navy is classified as a cruiser by the U.S. Department of Defense, the Chinese consider it a guided missile destroyer. In the years since the launch of Ticonderoga in 1981, the class has received a number of upgrades that have dramatically improved its members' capabilities for anti-submarine and land attack (using the Tomahawk missile). Like their Soviet counterparts, the modern Ticonderogas can also be used as the basis for an entire battle group. 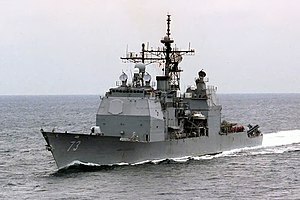 Their cruiser designation was almost certainly deserved when first built, as their sensors and combat management systems enable them to act as flagships for a surface warship flotilla if no carrier is present, but newer ships rated as destroyers and also equipped with Aegis approach them very closely in capability, and once more blur the line between the two classes.